"Canada's largest national baking trade show and convention event." 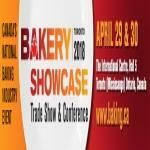 Quick Facts of Bakery Showcase 2018 Trade Show & Conference | What : Bakery Showcase 2018 Trade Show & Conference | Where : The International Centre, Toronto - Ontario - Canada | When : April 29th & 30th 2018 (2 days) – Trade show hours 11:00 am to 5:00 pm daily | Why : Join Canada’s only & national baking industry trade event in 2018 to showcase your products and services to over 4,500 food industry professionals * EXHIBITOR PROFILE:Domestic & International companies that manufacture, .. continue reading market, distribute & broker, baking ingredients, baked products (fresh, proof & bake, par-baked, freezer-to oven, thaw & serve), baking equipment, supplies, packaging, technology and services * ATTENDEE PROFILE:Commercial bakeries,retail bakeries (independent & franchise), patisseries, grocery chains / supermarket in-store bakeries, c-stores, food service establishments (restaurants, cafes, hotels, caterers), specialty & artisanal bakers, brokers, government buyers, trade missions. 4 02 May 2018 Mia Stojan Office Manager at WELLBAKE EQUIPMENT INC. Bigger than in years passed. Would like to see more industrial equipment companies but overall busy with good traffic and leads. Bakery Showcase plays host to more than 200 professional exhibitors, looking to promote their bakery products and related accessories to the show attendees. Chief items of exhibit at the show include baking ingredients, frozen dough, fresh oven baked products, decorative bakery items and baking mixes. Efficient packaging solutions are put on show at the event as well, together with baking mixes and other related products. Several top companies come to exhibit at the show, including Lesaffre Yeast and Belshaw Adamatic Bakery Group. TownePlace Suites by Marriott M..
Embassy Suites By Hilton Toront..